Early this summer I spoke to a number of individuals in the field of quantum computing to get a gauge on how quickly this technology is coming. What leapt out most strongly was that even though there is some debate about timescales for quantum computing in its true form other associated “quantum technologies” are definitely emerging. Richard Murray, lead technologist of emerging technologies and industries at Innovate UK, adds that “many existing technologies exploit naturally arising quantum effects”. He clarifies that this new technology can utilise techniques “which are not exploited in current devices” most specifically superposition and entanglement. This is exactly what QuintessenceLabs uses in its own technology. “Our products come with an embedded quantum device, streaming at extremely high speeds truly random numbers by measuring the inherent randomness of quantum phenomena,” he says. How are “quantum technologies” being used? There have been a number of developments recently in the field of quantum technologies. As Leiseboer points out many of these are in the arena of security where China has released a quantum enabled satellite and the National Science Foundation in the US has just announced it awarded $12 million to the development of quantum technology for secure future communications. Yet beyond quantum-enabled cyber security, quantum technologies are also being developed for a range of other applications. In 2013 the UK government announced a £270M ($360M) investment to establish the UK National Quantum Technologies Programme. QuintessenceLabs participates in this program while Murray of Innovate UK has been involved in coordinating the investment and brokering interactions and academics and interested companies. Murray says it is early days at the moment but early applications of quantum technologies are likely to be in quantum clocks, quantum communications networks, quantum sensors and quantum computers. He describes each on turn. He points out that quantum communications systems are already available commercially and will help to secure very sensitive data transmission. In fact, these communications systems have already been used to protect the secrecy of a Swiss election vote in 2007. While quantum sensors will soon be available, and able to measure properties of the environment with very high accuracy, and very good stability. “These will be used to measure gravity, which you can use to detect objects hidden beneath the ground, such as oil and gas reserves, sink holes, archaeological objects or buried infrastructure, such as pipes, without the need for the drilling of expensive boreholes. “Quantum magnetic sensors are already being used in research to measure brain activity, and there is hope that these sensors will one day provide early diagnosis of mental health problems, such as schizophrenia, or dementia,” he adds. What is the timescale for the deployment of “quantum technologies”? However, it is still impossible to ignore the technical challenges that need to be overcome for this technology to become commercially viable. “Mostly, this is in the engineering,” says Murray. Who describes just how challenging it can be to take a quantum device that has been developed in a well-controlled laboratory environment, and make it work in the field for use by non-specialists. 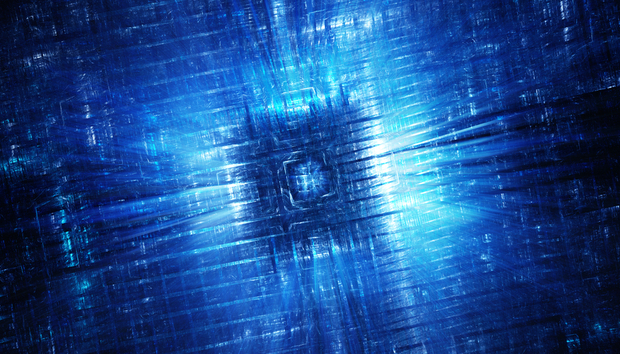 How close is quantum computing? « InfoShot: Will robots steal manufacturing jobs?